Designed for your health, safety & well-being! The Organic Elements Collection Allura Natural Latex & Coil mattress was designed and handcrafted with the health and eco-conscious person in mind. 100% Cotton Top Cover & Backing Fabric. Top Cover Features Mid-Body Support. 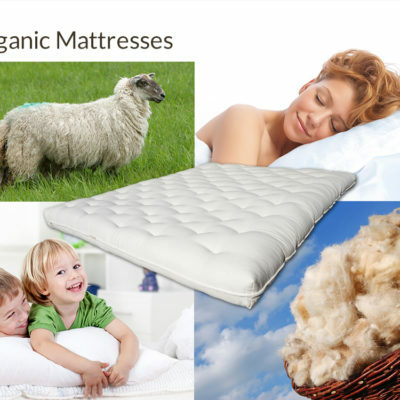 Certified 100% American Wool – Temperature Regulating, Chemical Free FR Layer. 1″ Natural Latex (20-24 ILD), Body Contouring Comfort Layer. 2″ Natural Latex (20-24 ILD) Progressive Support Comfort Mid-Layer. 8″ (884 Count) Upcycled Steel Coils & Quad Coil Perimeter Edge Support. Certified G.O.T.S. Organic Cotton Fibers & Certified 100% American Wool Side Panels. 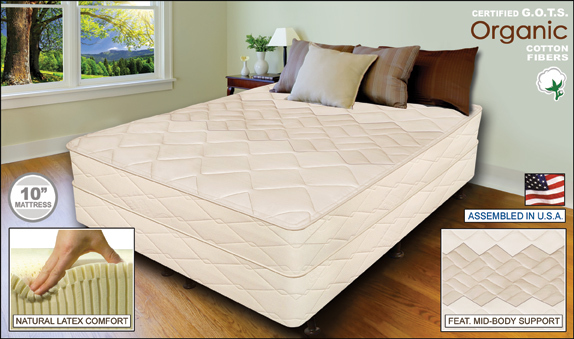 Option: This Premium Mattress Can Be Used With An Adjustable Power Base(s).